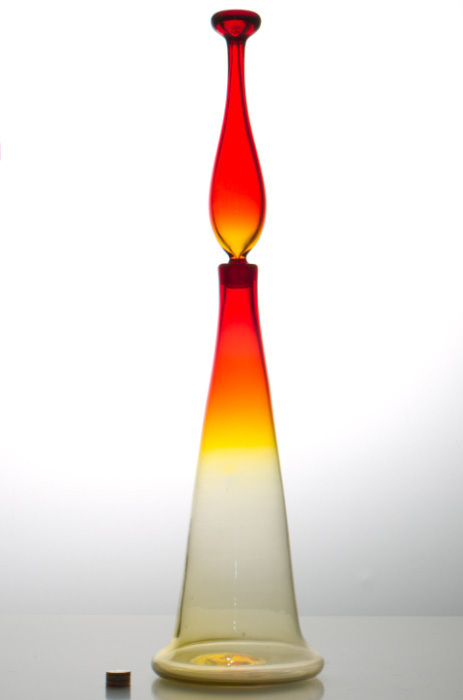 Large 6029 decanter designed by Wayne Husted for the 1960 Blenko catalogue. This one in tangerine with a particularly large stopper. Condition: Just cleaned and polished in our new machine - excellent condition.